Sherwood forest estate, white brick colonial on cul-des-sac offers privacy, luxury and comfort, gorgeous landscape and blue slate walkway to double door entry, multi-leveled deck to the garden and rear conservation easement, two story entry with marble flooring, dual coat closets, curved wood staircase, large living room and dining room with crown molding, gourmet kitchen with white custom cabinets, deep pantry, corian countertops, vegetable sink in center island, other amenities:3 car garage, 3 huge bay windows, cedar closet, family room with vaulted ceiling, 2 skylights, and fireplace. The location provides great schools and easy access to major highways, train and bus. It's a great home in every sense. 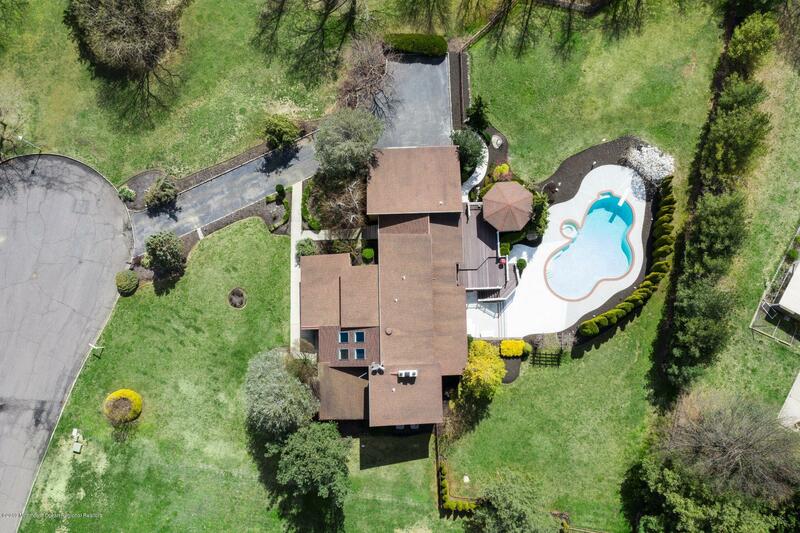 Perfect home in perfect location sitting on 1.02 acres of beautiful land. 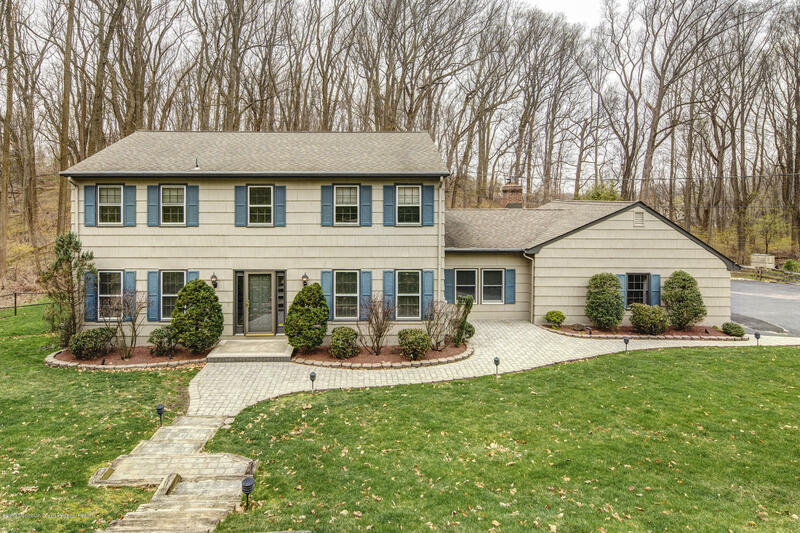 Come fall in love from the moment you enter this meticulously maintained home. Brand new roof and retaining wall! 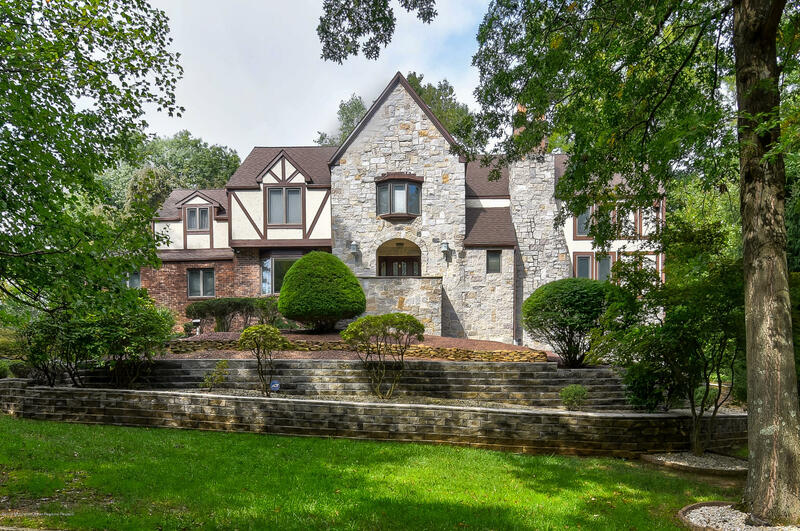 LR with soaring ceiling, stone fireplace, library loft w/ spiral staircase & wood floors Formal dining room w/ bay window, updated kitchen w/ beautiful ceramic floors, granite counter & SS appliances. 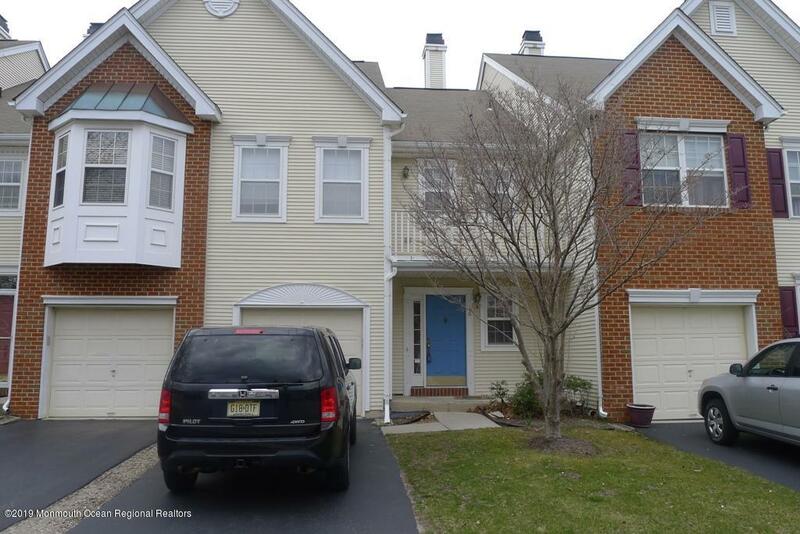 Home lends itself nicely to a mother/daughter or au pair situation on the 1st floor w/ a great room, new full bath & bedroom w/ complete privacy. 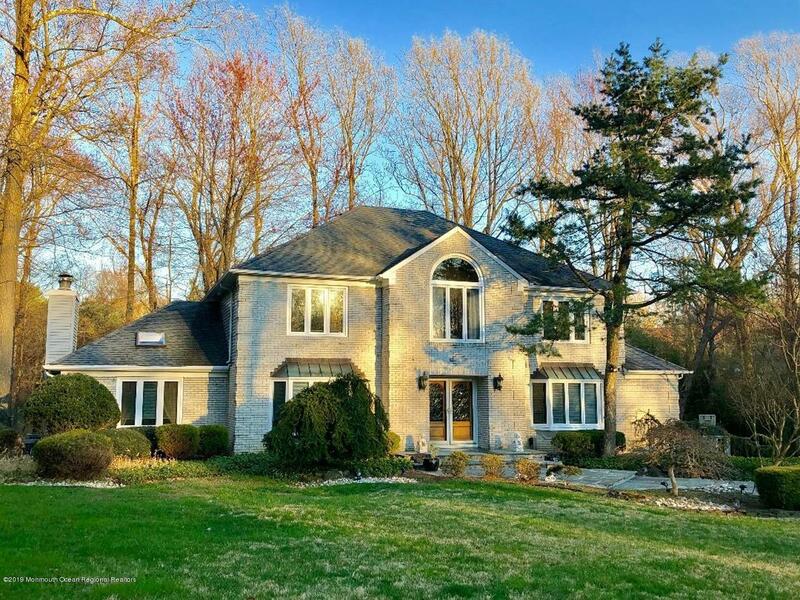 Master suite features sitting room & new luxurious bath, additional 3 ample sized BR's w/updated main bath complete the upstairs of this stunning home. 3 car garage w/room for a 4th pulled in tandem. Great yard w/ deck & gazebo. Close to NYC Transportation. 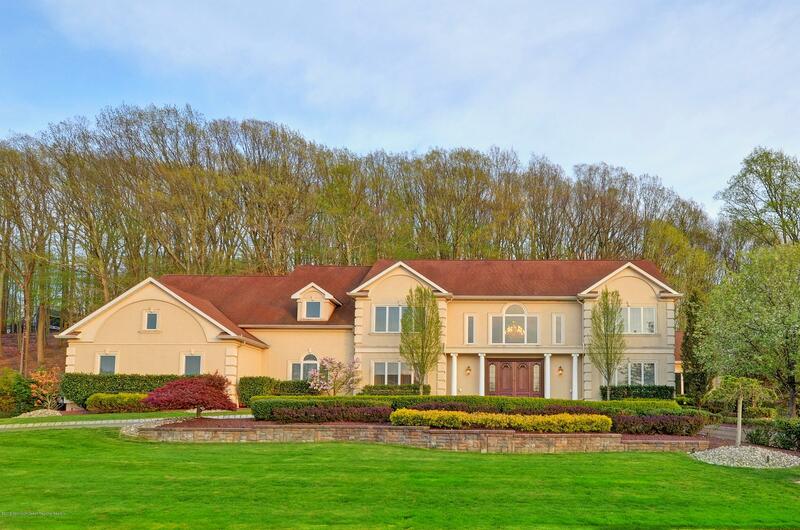 A Grand Contemporary w/private backyard sits on 1.2 acres in Holmdel. 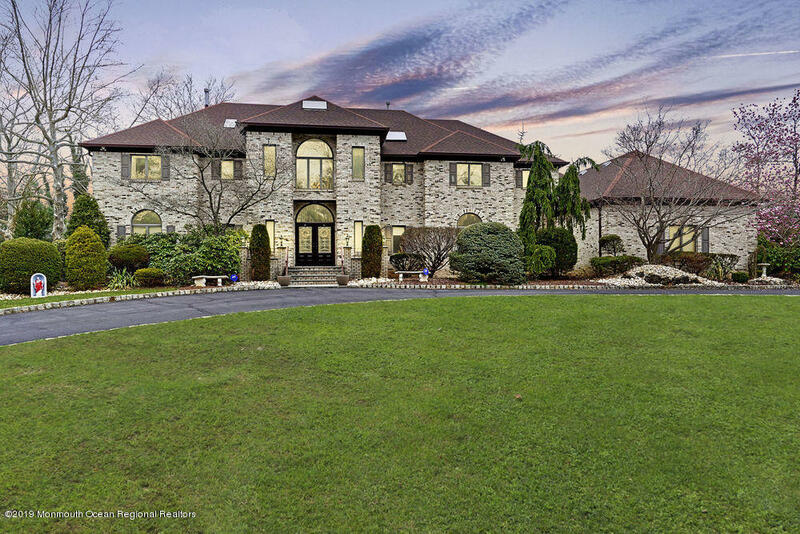 Spacious soaring 2 story marble foyer opens to princess staircase. Dramatic great room is an entertainer's dream w/stone floor-to-ceiling custom gas fireplace and inlay maple wet bar. Gourmet kitchen with all Viking Stainless appliances, granite counters, custom cabinetry & center island. Unique chandeliers grace entry and dining room. Recessed lighting throughout. Master en suite vaulted ceilings, his & hers walk-in closets. Master bath steam shower, whirlpool spa, custom mosaic tile. 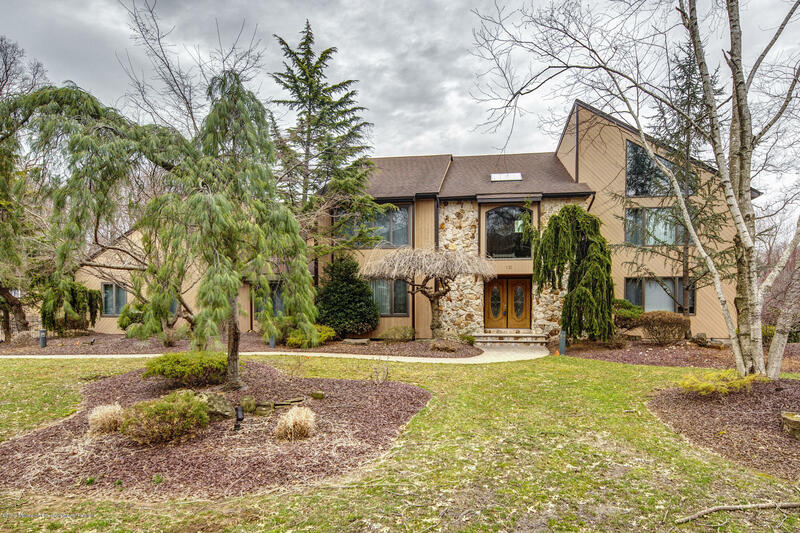 Sports fans will love indoor basketball court- accessible from finished basement complete with bar. 4 zone heat. Central Vac. Outdoor entertaining grill & wet bar, gazebo & gas fire pit. Indoor/Outdoor Family Fun ready to ENJOY! Listed by Maximillion Realty, Inc.